CONGRATULATIONS JEAN HAWKINS ON WINNING THE DRAWING FOR MY BOOK AND ORIGINAL PIECE OF ARTWORK FROM IT!!! 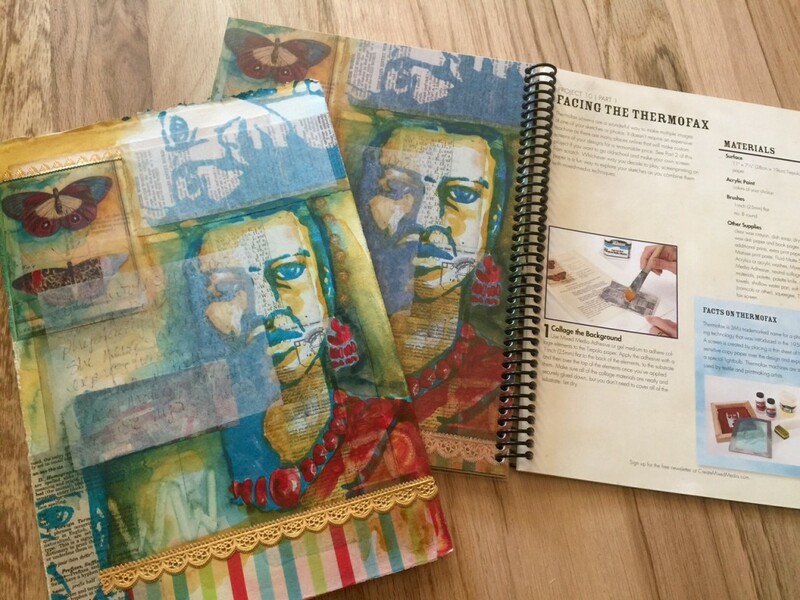 Thermofax Screen Printing Essentials for Fabric, Paper, & Mixed Media is a new DVD from Lynn Krawczyk and it is full of fun projects and information about Thermofax printing! Learn the facts about Thermofax screen printing from Lynn Krawczyk! 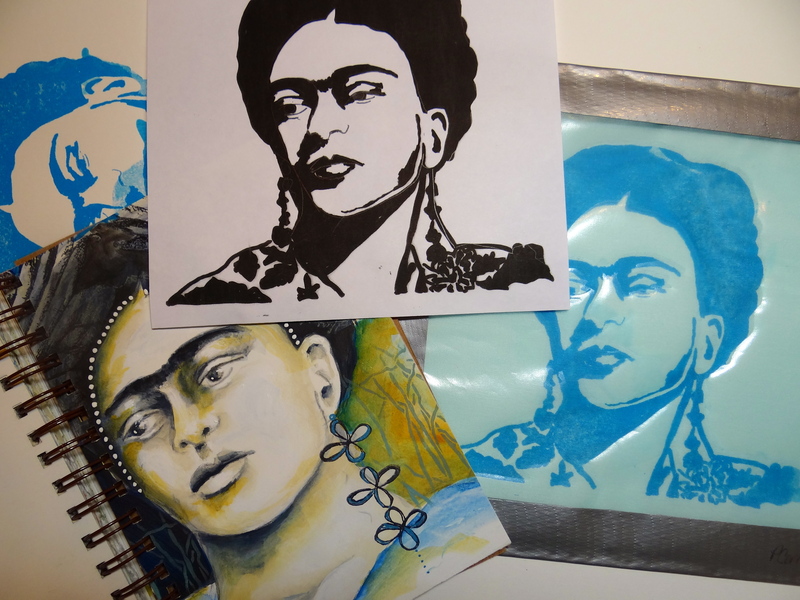 Looking for an easy way to integrate screen printing into your artwork? Discover Thermofax® screen printing, an accessible and easy surface design technique. 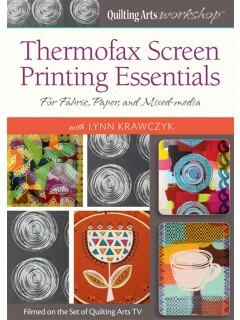 Artist, fabric designer, and author Lynn Krawczyk shares everything you need to know in the Quilting Arts Workshop video Thermofax Screen Printing Essentials For Fabric, Paper, & Mixed-Media. 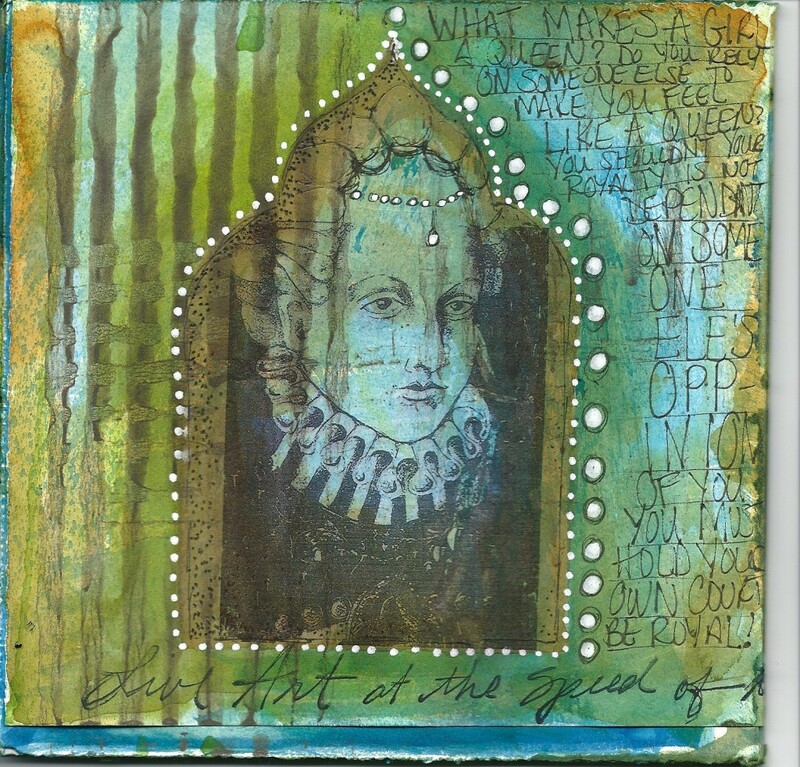 First, learn how to create and modify artwork for burning onto screens. Next, Lynn shares tips for using the screens on different surfaces using a variety of products, including fabric paint, thickened dye, discharge agents, and more. 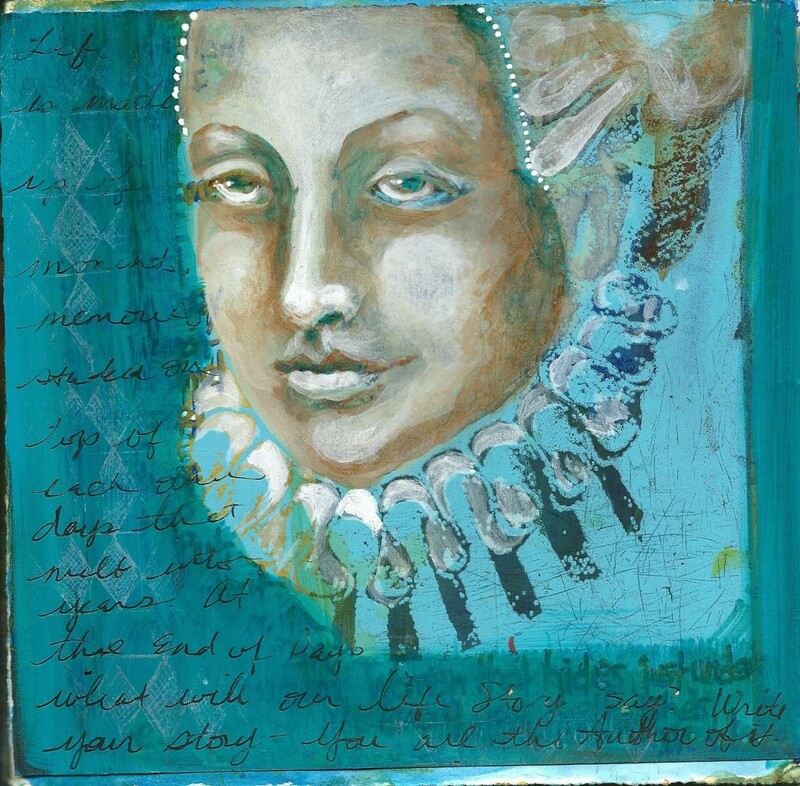 Lynn expands this process from simply printing an image on fabric to creating sophisticated texture, layered color, and interesting depth on many different substrates. This is a must-have technique video for surface design enthusiasts. 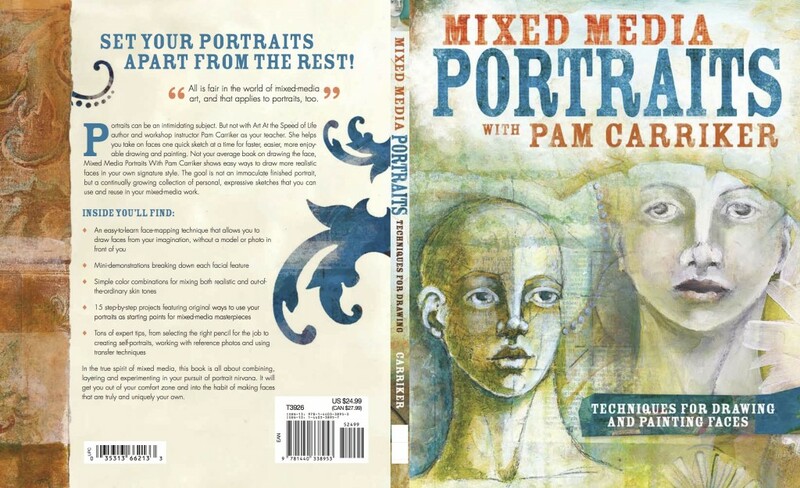 I now have a Thermofax machine and I use the screens mostly for printing on paper substrates and I included a project in my book, Mixed Media Portraits that uses Thermofax screens, but before I did I met Lynn online and ordered screens directly from her. I love that I could send my own designs to her and have custom screens printed! 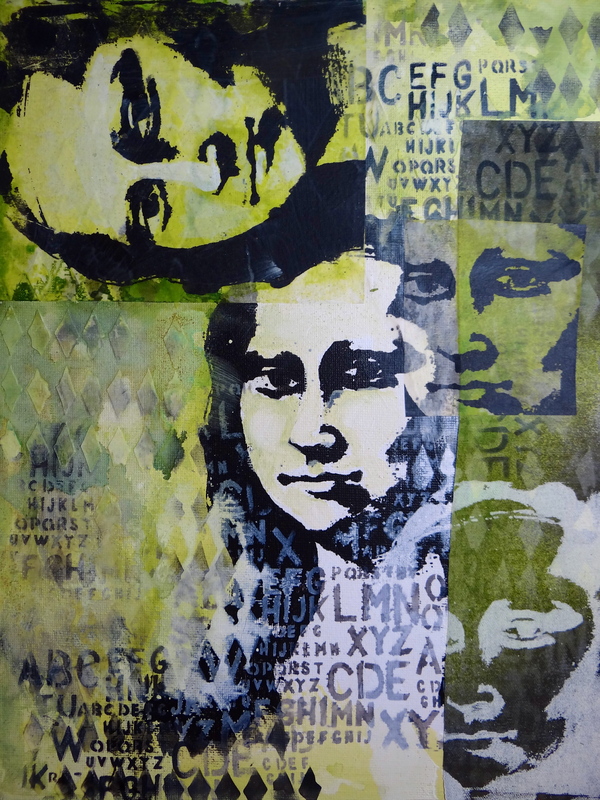 It’s so fun to incorporate Thermofax printing right into your own artwork. Here are some pieces I’ve done using screens. Lynn goes way beyond using paper substrates in the video, really something for anyone interested in this type of surface design, covering a wide range of substrates and mediums to use with Thermofax screens as well as information about making the screens themselves. I learned a lot and I own a machine! I think you will love exploring the Thermofax and this DVD is the way to go. And Lynn is going to be giving away Two Thermofax Screens and Three DVD’s on her blog so be sure to stop there to enter!!! I’m hosting a little giveaway here in honor of the Thermofax and will be drawing a name from the comments to give away a copy of my book and the piece of original art from my Thermofax project in the book!!! Check out the other Blog Hop Participants!!! 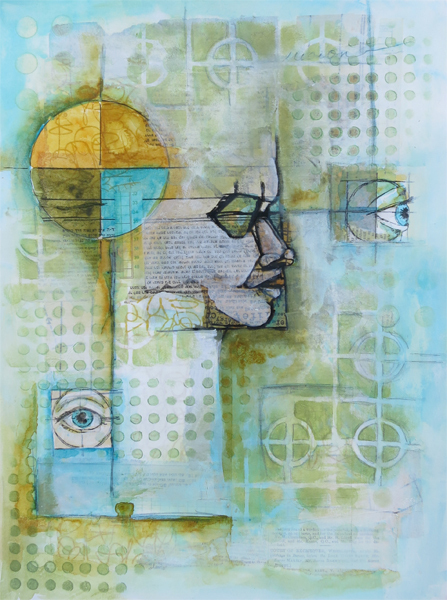 Pam, your artwork using the Thermofax prints is gorgeous. Thanks for the chance to win a copy of your book. Learning to print with a Thermofax is on my “to do” list so seeing how you do it would be great encouragement. 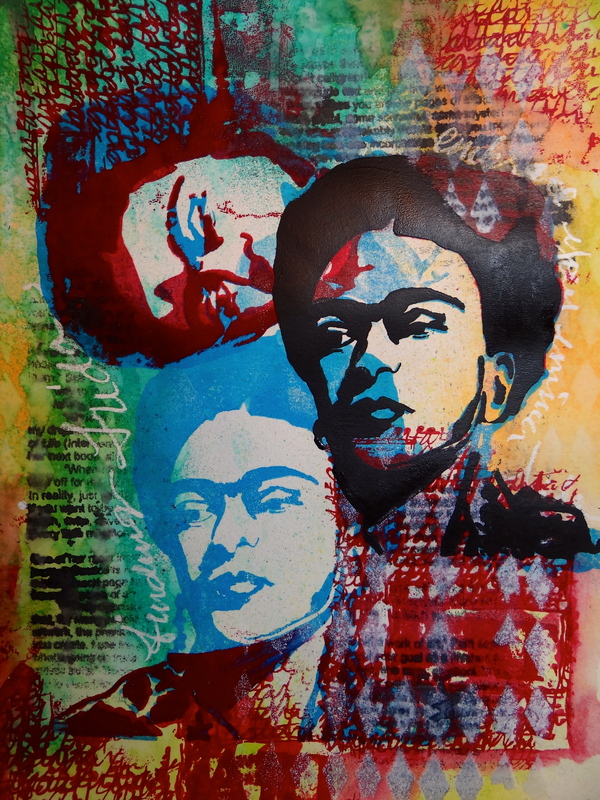 Lovely portraits, such an interesting process! I love your use of faces and text! I love your prints from the Thermofax! I cannot wait to see Lynn’s book and love the prints you did in your book. Such a cool technique that you taught us in Paducah, KY at your workshop there. I have been trying to come up with a design to order from Lynn, but so far, I don’t have one I like. So glad you found a machine! I’m so inspired by all you do. Getting this book would make Montana’s smoky end of summer days that have forced me indoors so much more interesting. Great portraits. Another inspirational blog post! Have gotten tons of ideas even while I am enjoying the DVD. I got my “art is not optional” screen from Lynn and I tell you, it’s addicting! Your artwork is fabulous and I still need to get your book! Thanks for adding more options with thremofax into the mixed media tool box. You are always learning and sharing – so we can continue to learn. Your work incorporating thermofax screens is nothing short of inspiring. Thank you. Beautiful work! Can’t wait to try the thermofax! Thanks Pam! I would love a chance to win. I don’t know much about the thermofax, but really like the journal page using the thermofax images in different colours! 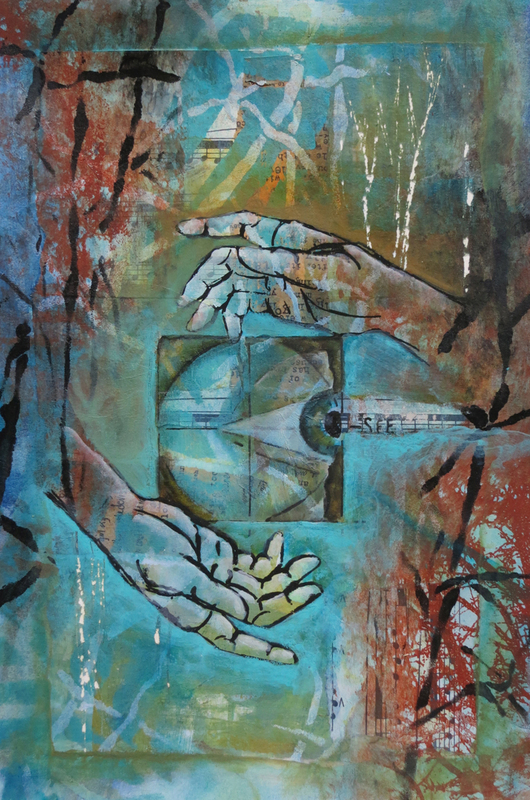 Wish to learn a new technique to incorporate into my mixed media artwork. I am currently Thermofax-challenged! Thanks for the opportunity.